“Essential Success Factors for Filmmaking"
The second forum and networking event made by LET’S CEE: twelve high-class presentations, two exciting panel discussions, a series of pitchings and much more: This will be the second edition of the LET’S CEE Industry Days from 19 to 21 April 2018 in Vienna. Note: Free tickets, which are sponsored by partners, are still available! A two-and-a-half-day industry session titled "Co-Financing and Co-Producing, Innovation and Know-How: Essential Success Factors for Filmmaking" will take place at the LET’S CEE Film Festival 2018 between April 19th and 21st. The symposium will be held in English. Austrian and foreign top speakers will deliver individual lectures and contribute to discussion forums on topics such as film financing. film funding and co-productions, film production and distribution, and trends such as CGI (Computer Generated Imagery), 3D animation and Virtual Reality. For the first time, there will also be a series of pitchings during the Industry Days where selected projects from Poland, Slovenia, Austria, and Romania will be presented. The organisers’ goal is to offer participants a broad programme of practical topics. Not only will participants learn about current opportunities for funding their projects in the EU, but they will also get an up-to-date look at other offers in the Central and Eastern European film industry. How can one increase the chances of having their own feature films or documentaries played by a big movie chain? What can a large film studio offer filmmakers and producers? What is possible with professional CGI and what does it cost? How will virtual reality change the film business in the near future? A highlight of Industry Days will be an extensive presentation by one of the largest film studios in Europe. Yariv Lerner, Head of Nu Boyana Film Studios in Sofia, will be travelling to Vienna for this event. Among the other speakers and panellists are Jakob Ballinger, Founder of The Light Bridge; Simone Baumann, Producer and Representative for Eastern Europe at German Films; Nataša Bučar, Managing Director of the Slovenian Film Centre (SFC); Anna Franklin, General Director at Film New Europe; Vesselina Georgieva, Visual Effects Specialist at Worldwide FX; Marcin Łunkiewicz, Cinematic VR Specialist, Producer and Founder of mimo.ooo; Jan Maxa, Content Development Director at Czech Television (CT); Christof Papousek, CFO of Austria’s largest cinema chain Cineplexx; Tomáš Prášek, CEO and Co-Founder of Eventival; Julia Schmölz, Programme Manager at FISA – Film Industry Support; Christophe Vidal, Director at Natixis Coficiné SA; Virgil Widrich, Filmmaker and Director of Virgil Widrich Film- und Multimediaproduktion; Iris Zappe-Heller, Deputy Director of the Austrian Film Institute; Kathrin Zechner, Programme Director at ORF, and many more. The closing event of Industry Days will be the "Live! Ammunition! Pitching Competition" hosted by Elliot Grove, founder and director of the Raindance Film Festival in London and the British Independent Film Awards. Young filmmakers will have the opportunity to present their ideas to film experts, such as Ursula Wolschlager, Producer and CEO of Witcraft Filmproduktion, Jakob Pochlatko, Producer and CEO of epo-film, Jani Sever, Producer and Owner of Sever & Sever Productions, and in front of a live audience. The location of the pre-opening event will be the Austrian Chamber of commerce at Rudolf-Sallinger-Platz 1, 1030 Vienna. 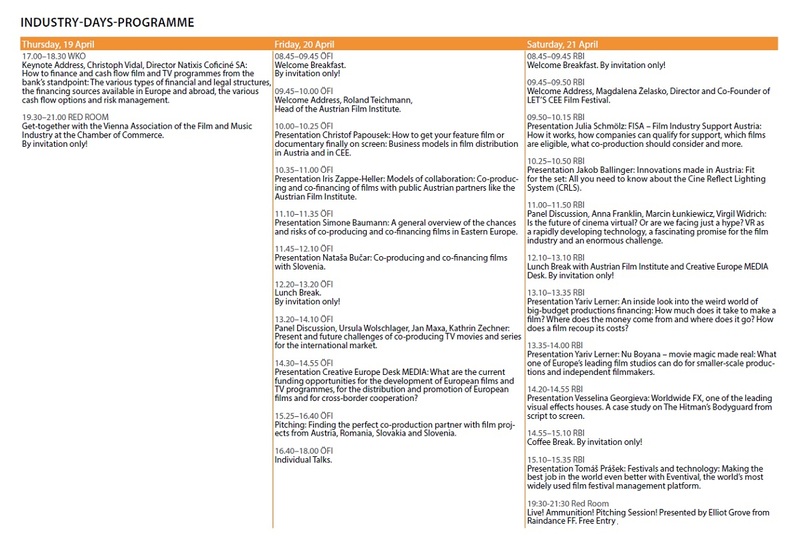 The event for the first Industry Day will be the Austrian Film Institute at Spittelberggasse 3 / Stiftgasse 6, 1070 Vienna, and for the second day, the Raiffeisen Hall at Am Stadtpark 9, 1030 Vienna. The attendance fee, including catering, is 120 Euros. However, festival partners are providing a contingent of free tickets on a first come, first serve basis. Please register on time via industry@letsceefilmfestival.com, stating your name, your function and the days (Thurs., Fri., Sat.) when you would like to participate in Industry Days 2018, in order to secure your seat. We will get in touch with you shortly. Thank you! Industry Days is organised by the LET'S CEE Film Festival. The most important supporters of the engagement are the Austrian Film Institute, the Collecting Society of Filmmakers VdFS, the Collecting Society for Audio-Visual Media VAM, the Vienna Association of the Film and Music Industry at the Austrian Chamber of Commerce, the Polish Film Institute (PISF), the Romanian Cultural Institute in Vienna, the Slovenian Film Centre (SFC), and Raiffeisen Bank International. The 6th edition of the LET’S CEE Film Festival will take place from 13th to 22nd April 2018, presenting 162 outstanding feature films, documentaries and shorts, including 140 Austrian premieres, most of them from Central and Eastern Europe. Many screenings will be followed by Q&A sessions with the respective filmmakers. For more information, please visit www.letsceefilmfestival.com. The detailed festival programme incl. screening dates and venues is already available. Within the framework of this year's fifth edition of the LET'S CEE Film Festival and in co-operation with Film New Europe, the leading networking platform for the film industry in the CEE region, a two-day industry event will be held from 23rd to 24th March. It will feature high-class presentations, fascinating case studies and cutting-edge panels, delivered by top speakers focusing on the field of co-productions and film funding, but also covering issues such as film distribution, film production, innovation and trends. The organisers aim to offer participants an broad agenda of practical, relevant topics to show them the best opportunites for getting their projects funded and financed in several countries and on EU level and how to find the perfect co-operation partner. In addition, participants will also get an up-to-date overview of what the film industry in Austria and in the CEE region has to offer besides these aspects. Participants will, for example, listen to lectures on how to improve their chances of getting their feature film or documentary to the big screen of a cinema chain or at an A-Festival, what big film studios nowadays can do for them, how virtual reality will change the business in the near future, how to produce a high-class documentary on a par with Hollywood, what a perfect and watertight international co-production contract looks like, and much more. In two top-class panel discussions, Austrian and international experts will talk about the future of European film festivals and analyse the prospects of co-productions between western and CEE countries. The closing event of the Industry Days, a Live! Ammunition! 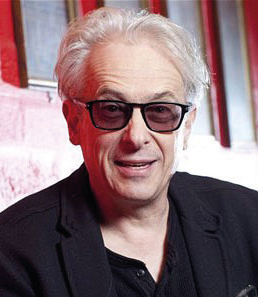 Pitching Session hosted by Elliot Grove, Founder and Director of the Raindance FF and the British Independent Film Awards, will give young filmmakers the chance to present their work in front of experienced film professionals. A highlight of the LET'S CEE Industry Days: Harald E. Trettenbrein, Head of Unit at European Commission EACEA, will deliver a keynote address on "Creative Europe MEDIA and how it can support European filmmakers in a rapidly changing world." Among further speakers and panelists at the networking event are Christof Papousek, CFO of Cineplexx, Austria's biggest Cinema Chain Complex, Stefan Laudyn, Director of the Warsaw FF and Tina Lokk-Tramberg, Director of the Tallinn Black Nights FF, Wolfgang Knöpfler, Producer of The Ivory Game and according to Netflix "The Jason Bourne of Natural History Filmmaking", Daniel Kresmery, Head of Production and Development and the Korda Studios (where most recently Blade Runner 2049 was shot), Samaya Asgarova from the Azerbaijanfilm Film Studio, Tereza Polachová, Head of Original Production at HBO Europe, Robert Balinski, International Co-Productions Project Manager at the Polish Film Institute, Jelka Stergel from the Slovenian Film Center, Tudor Giurgiu, President of the Romanian Film Promotion and of Transilvania IFF, Arie Bohrer, Director of Location Austria, and many more. On Thursday, 8th October 2015, the society of filmmakers VdFS invites its members to a networking evening at 7.00 pm in the Urania Cafe Bar Lounge, where LET’S CEE guests from abroad will also join in. Please note: This is a closed event and, in addition, registration is required up to 1st October via office@vdfs.at. Location: Urania Cafe Bar Lounge, Uraniastraße 1, 1010 Wien. Time: Thursday, 8th October 2015, from 7.00pm. VIENNA BUSINESS WEEK: LET’S TALK 2! In cooperation with Vienna Business Week the LET’S CEE Film Festival invites all cineastes to meet some of its international guests from Central and Eastern Europe away from the big screen. Within the framework of two networking events, socializing, exchanging experiences and accumulating ideas with directors, actors and other film makers will be possible on 3rd and 4th October 2015 between 11.00am and 1.30pm, in the pavilion at Strandbar Herrmann. Stimulating the development of new projects will be encouraged. Brunch: from 8.50 euro per person. Location: Pavilion at Strandbar Herrmann, Herrmannpark, 1030 Wien. Time: Saturday and Sunday, 4th and 5th October, 11am - 1.30 pm. The Film New Europa Association (www.filmneweurope.com) hosts, in conjunction with the Austrian Film Institute, as part of the LET’S CEE Film Festival the industry event “Focus on Austrian CEE Co-production”. The FNE Association consists of managing boards from important film institutions in Central and Eastern Europe, and is the film industry’s leading networking platform for the region. Content: Producers and other experts will explain how the funding of transnational co-productions with CEE partners works today. For this purpose, case studies from internationally successful co-productions from the region will be presented. To conclude there will be a Q&A session and networking brunch. There will also be guests from LET’S CEE at the event. Participation is free of charge, but prior registration is required via fnecoprodevent@filmneweurope.com. The event will be held in English.Location: Austrian Film Institute, Spittelberggasse 3 (Entrance Stiftgasse 6), 1070 Vienna.Time: Friday, 9th October, 9.45am - 1.30pm. Regular admission to the LET’S CEE Master Classes is 35€. Students and holders of respective cards (see page 10) only pay 25€. The price for certain Master Classes also includes a ticket to the film of the respective lecturer (see further below in the text). It is not compulsory to watch the respective film for taking part in the Master Classes. The Master Classes offered in co-operation with Raindance Film Festival and Elliot Grove cost 25€ respectively. You can book all three Workshops for only 60€. For more details, please contact us via education1@letsceefilmfestival.com. At this address you can also register for the Master Classes. All Master Classes are held in English (except the Master class with Tomasz Raczek) and last ca. 150 minutes, unless otherwise stated. 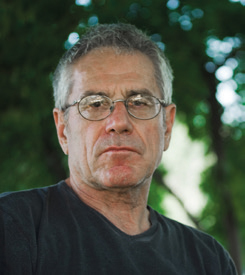 Lecturer: Želimir Žilnik, the Serbian film director and critical intellectual, is considered to be one of the most important representatives of European Cinema. 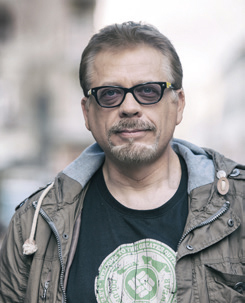 Already at an early age Žilnik was awarded the Golden Bear, he is also the co-founder of the Yugoslavian Novi Film and of the so-called “Dokudrama”-genre. At LET’S CEE he will show his, due to the political development, highly topical documentary Logbook Serbistan. Master Class: 02.10., 3p.m., at Pavillion of Strandbar Hermann. Content: Most of his work consists of social commitment, humour or grotesque, comedic elements and explicit political criticism. 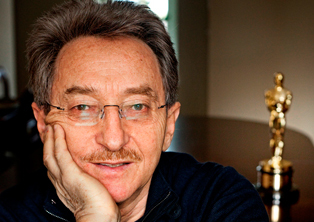 In this Master Class Žilnik will, based on examples, illustrate how he makes films. Screening: Logbook Serbistan (SRB 2015, Serbian, English, Arabic, Somali, French with German Subtitles, duration: 94 minutes), 02.10., 11a.m, at Village Cinema Wien Mitte. Lecturer: Tomasz Raczek is probably Poland’s best-known film critic. He had a successful career in the media- and theatre world and worked in leading positions. Today Raczek runs Latarnik, his own publishing company, and operates a well-known video-blog. However, he is also successful as creator, presenter and person in charge of various TV and radio shows concerning film. Master Class: 03.10., 10a.m, at the Polish Institute in Vienna. ATTENTION: The class will be held in Polish! Content: People in a cinema hall all watch one and the same movie – but do they also see one and the same movie? “Kinopassana” stands for the conjunction of cinematic analysis in the form of a talk with elements of mediation. Astonishing but true nonetheless: this method of therapy can help you expand your perception of reality and be life-enriching. Screening: Carte Blanche (POL 2015, Polish with English subtitles, duration: 106 minutes), 02.10., 7p.m, Actor’s Studio. 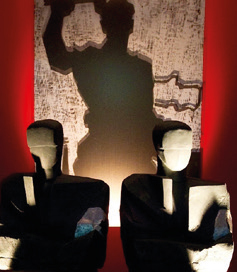 Lecturers: The two Slovenes Ivo Saliger and Elk Eber are the founding members of the cult band Laibach (1980), the NSK-Movement (movement of New Slovenian Art, 1984) and the NSK-State (1992). Both are multimedia artists, describe themselves as “Machinists of the human soul” and work in various domains with Laibach remaining their central theme. Master Class: 05.10., 10 a.m., at Village Cinema Wien Mitte. Content: Laibach, Laibach and again Laibach. The collective’s history and philosophy are being discussed as well as their various projects and of course films by and about probably the world’s most provocative band. The focal point of the Master Class is the documentary Victory Under The Sun and of course, we must not forget, everything about The Laibach Sound of Music in Pyongyang. Screening: During the workshop sequences of Victory Under The Sun (YU 1988, Serbo-Croatian with English subtitles)will be shown. There won’t be an additional screening of the film. Lecturer: Productions by Romanian Ada Solomon are shown at the world’s most prestigious film festivals, in Berlin as well as in Cannes, Locarno and Venice or at the Sundance Film Festival. In the meantime her productions have been awarded with over a hundred important prizes, such as the Golden Bear and the Heart of Sarajevo. She was recently successful in Berlin with Aferim! Master Class: 09.10., 3-6p.m., Raiffeisen Bank International, Raiffeisen Hall, Am Stadtpark 9, 1030 Vienna. Content: Based on a case study of Aferim!, the basic conditions and possible challenges as well as the highs and lows of a production will be discussed. Also on the menu: How to find good projects, how to work well with film directors, and why there is no guarantee that the next production is going to be easier than the previous one. Screening: Aferim! (ROM/BUL/CZE 2015, Rumanian, Turkish, Romani, English with English subtitles, duration: 105 minutes), 08.10., 7p.m., Urania Kino. 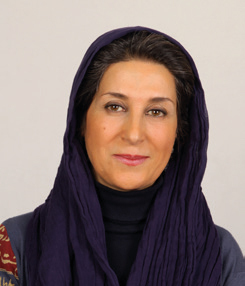 Lecturer: Fatemeh Motamed-Arya is one of Iran’s best-known and most popular actresses and film makers. A well, beyond the borders of Persia, respected political activist, she became a talking point due to her commitment to women’s rights and humanitarian projects. In Nabat, the Azerbaijani contender for an Oscar 2015, she stars in the lead role. Master Class: 10.10., 10am.-1pm., Raiffeisen Bank International, Raiffeisen Hall, Am Stadtpark 9, 1030 Vienna. Content: As an actress/actor one is the most relaxed, when knowing oneself, one’s own body and one’s senses, no matter what situation. How to achieve such self-awareness and how to get the best from oneself in the right environment. Screening:Nabat (AZE 2014, Aserbaijani with English subtitles, duration: 105 minutes), 09.10., 6p.m., Urania Kino. Lecturer: Canada-born Elliot Grove lives in London. In 1993 he founded the Raindance Film Festival, in 1998 the legendary British Film Awards and in 2007 Raindance TV, among other things. Furthermore he has produced over 150 short and five feature films, written eight screenplays and three specialised books that are now standard reference for the industry. In his workshops Grove has been teaching screenplay and film production to thousands of young filmmakers but also to top-directors such as Christopher Nolan, Guy Ritchie and Matthew Vaughn. Master Class: 10.10., 14.00-16.30 Uhr, Raiffeisen Bank International, Raiffeisen Hall, Am Stadtpark 9, 1030 Wien. Content: This class is a must for everyone who has ever had an ingenious idea for a film, but didn’t know where to start. This intense course will provide you with plenty of know-how and the knowledge about the modern techniques and instruments used by professional screenplay writers today. You will learn how to turn your concept into a script, how to develop characters and much more. It is basically “Filmmaking 101”. Master Class: 10.10., 5pm-7.30pm, Raiffeisen Bank International, Raiffeisen Hall, Am Stadtpark 9, 1030 Vienna. Content: You already have a script and a project, but lack everything else? This seminar holds the solution to your problem. Pitching is one of the most important skills a filmmaker has to develop to be able to collect enough funds, gather a good crew and the best talents for their project. How do you get the financiers and the people responsible for the development of the material to sign a contract? Where and how can one even find financiers? And how does one behave in the crucial meeting? These and many more questions will be answered in the “Pitching Skills Workshop”. Master Class: 11.10., 10am-12.30pm, Raiffeisen Bank International, Raiffeisen Hall, Am Stadtpark 9, 1030 Vienna. Content: If one wants to be at the top in the film business, one has to be conversant in social media. Only if one knows and understands the possibilities the Internet provides today, one can invest and make money of it. This course will equip you perfectly for surviving online, whether you need help with marketing, crowd funding, a perfect profile or publicity building. DIRECTOR AND SCREENWRITER. Winner of Academy Award and Golden Lion at the Venice Film Festival. 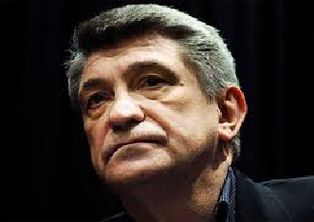 Alexander Sokurov graduated from VGIK, Moscow, Soviet Union in 1978. During his early period, he produced numerous documentaries, including an interview with Aleksandr Solzhenitsyn and a reportage about Grigori Kozintsev's flat in St Petersburg. His film Mournful Unconcern was nominated for the Golden Bear at the 37th Berlin International Film Festival in 1987. His first feature film (1978) The lonely voice of man was banned by soviet authorities for political reasons until 1987. Produced at that time, Mournful Insensibility (loosely adapted from Bernard Shaw's A Heartbreak House) was a commercial failure because it proved to be very difficult for common cinema-goers, but pleased critics who regarded Sokurov as a budding auteur with a vision of his own. He continued making highly personal, artistic films that won the acclaim of art house fans first in Russia and then around the world. With plots that often put less with emphasis on aesthetics and impressionism, his films are noted for their philosophical approach to history and nature. Sokurov also made his practice of starring ordinary people instead of professional actors his trademark. His other films include: 1988 Days of the darkness, 1990 The second circle, 1992 The Stone, 1997 Mother and son, 1999 Moloch, 2001 Taurus, 2001 Japanese stories, 2002 Russian Ark. The third part of the trilogy about the psychology of power, Solntse (The Sun) (along with Moloch and Taurus), as well as Alexandra, ran in the Competition of the Berlinale in 2005. In 2011, Faust was honoured with the Golden Lion at the Venice Film Festival. Sokurov is the winner of many film awards, including the Bronze Leopard at the 1987 Locarno Film Festival for The lonely voice of man, the IFC Vision Award at the 2002 Toronto Internation Film Festival for Russian Ark, the Special Award for his Lifetime Achievement at the 2002 Sao Paulo International Film Festival and the FIPRESCI Award at the 2003 Cannes Film Festival for Father and Son. The workshop (2 hours) will be held immediately after the screening. PRODUCTION DESIGNER AND SET DECORATOR. Winner of Oscar + César Award. A hugely successful production designer in his native Poland, Allan Starski still resides in Warsaw from where he travels the world to lend his talents to International filmmakers. In 1987 he was nominated for an Emmie award for the art direction of Escape from Sobibor. In 1993 he designed the sets for Steven Spielberg’s Schindler’s List, for which he was awarded an Oscar, a BAFTA nomination and the Los Angeles Film Critics Association Award for Best Production Design. 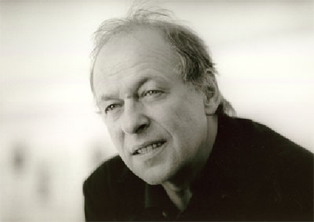 In the past decade he has designed the sets for numerous international movies, the most notable being Europa, Europa, Washington Square, the Polish film Pan Tadeusz for which he won the Polish 'Eagle' Award as well Roman Polanski’s award-winning story of courage and survival in the Warsaw ghetto during World War II, The Pianist. Starski's work on this production won him a French César Award and another Polish ‘Eagle’ Award. His recent credits were Euro Trip, Oliver Twist and Young Hannibal. DIRECTOR AND SCREENWRITER. Winner of the Silver Bear at the Berlin Film Festival. Wojciech Marczewski (born in 1944) studied history, philosophy and directing in Lodz. He was also a member of the Film Group TOR, vice-president of the Polish Filmmakers Association and president of the Federation of Film Discussion Clubs. He is winner of the Silver Bear at the Berlin Film Festival and winner of the Golden and Silver Lions in Gdansk and Gdynia. Twice awarded the Minister of Culture Prize. He was awarded the Officer's Cross of the Polonia Restituta Order for his "outstanding contribution to national culture and for achievements in artistic creation." Marczewski was the Artistic supervisor in many feature film debuts, including The Burial of a Potato by J. J. ​​Kolski, 300 Miles to Heaven by M. Dejczer, The Bash by L. Wylężałek and The Letter by D. Hasanović. He is a lecturer at the Film School in Lodz and the originator of the "30 minutes" programme. He is also the co-founder, vice-president and programme director at the Wajda School Foundation and at the Wajda Studio in Warsaw and a member of the Polish Film Institute Council. 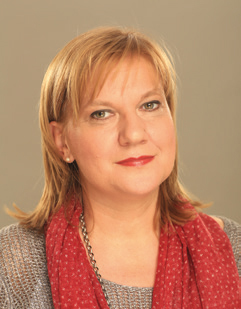 Marczewski has taught directing in Germany, Denmark, Switzerland and the Netherlands. He was Dean of the Faculty of Directing at The National Film and TV School of Great Britain in London.